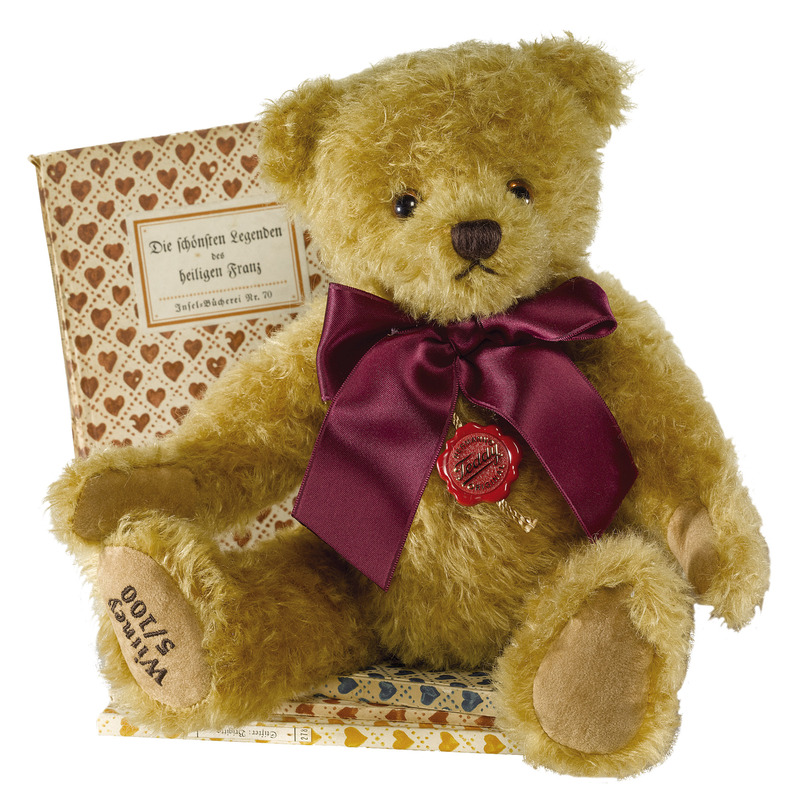 Made of distressed and wavy, old gold mohair, this classic teddy bear has brown and black safety eyes and light brown synthetic suede paws. 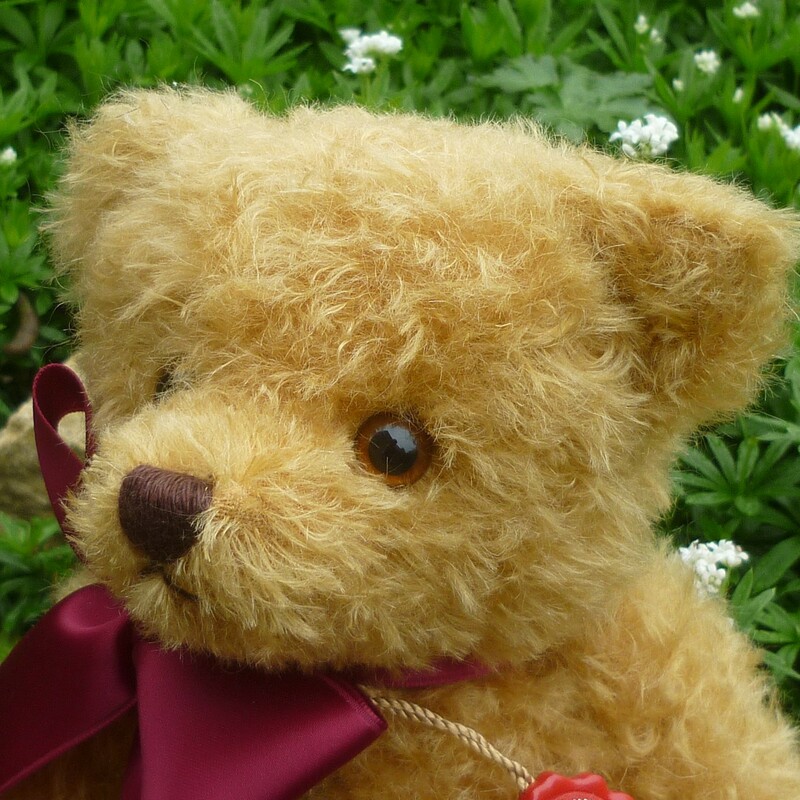 Traditionally filled with wood shavings, he is fitted with a growler and wears a burgundy ribbon bow. 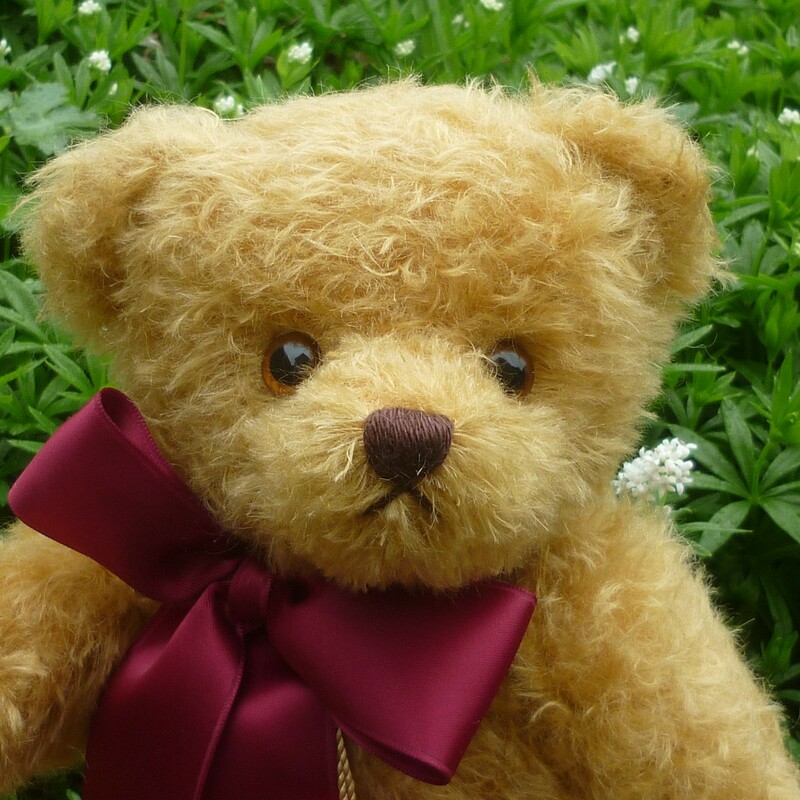 Made exclusively for Teddy Bears of Witney in a limited edition of 100. 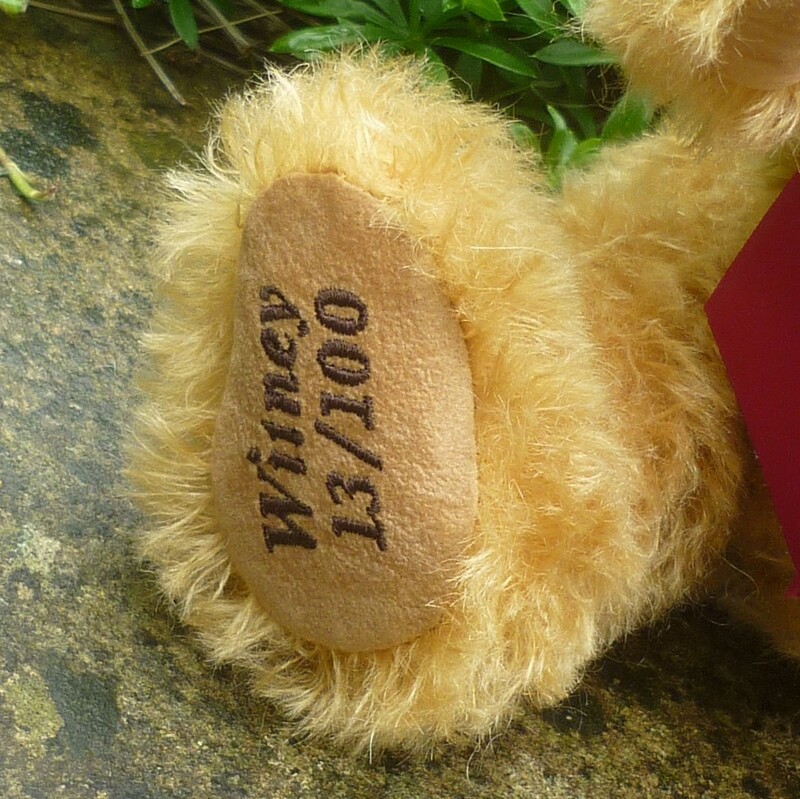 The limited edition number is embroidered on the bear’s right footpad.